Seeing as how the world didn't end on December 21 as foretold by the Mayans, we here at WFN can now safely reflect on the real newsmakers of the past year. Without further ado, here's a look back at the top fishing-related news stories of 2012. 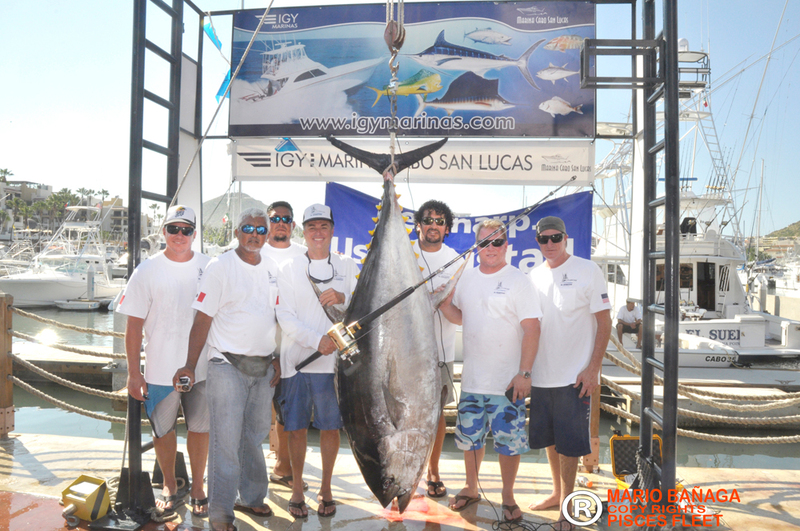 Guy Yocom and crew pose with the potential world record, one-million-dollar-winning yellowfin tuna. Guy Yocom of Dana Point, California caught a potential IGFA world record yellowfin tuna out of Cabo San Lucas back in September, weighing in at 127 pounds on one set of scales. It?s still going through the certification process, but appears destined to be the new official record. While such a catch would already be worthy of a top news story, what makes it even more spectacular is that Yocom, pending IGFA certification, will get $1,000,000 as part of a contest from Mustad for catching an all-tackle world record. There was no better angler at the beginning of 2012 than Chris Lane, who rode the high of a Bassmaster Southern Open win in January towards the ultimate grand prize in February - a Bassmaster Classic title worth $500,000. The Florida-raised pro was consistently great throughout the Classic, but the enduring story may be his relationship with his brother, Bobby. The brothers were tied at one point during the tournament, but while Bobby fell a bit behind in the final days, Chris surged ahead. No worries for Bobby, though: thanks to an agreement before the tournament, if either brother wins the Classic, they must pay a full year's worth of entry fees for the other. 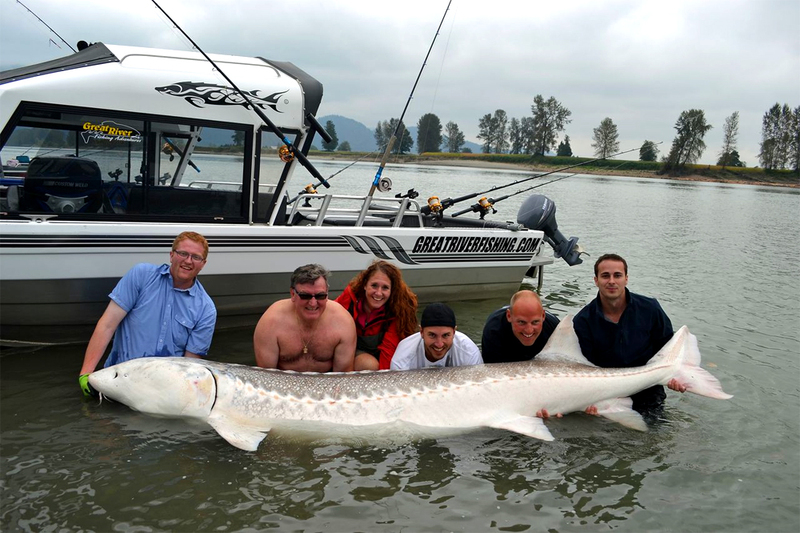 This monster sturgeon measured nearly 12 feet in length. A couple of massive sturgeons were caught this past summer out of Fraser River, Manitoba, courtesy of the Great River Fishing guide service. First was a 12 foot, 4-inch brute caught by a retired Englishman while vacationing with his wife. The second fell just short of 12 feet, but still topped the thousand-pound mark. That second fish was caught by Norman Daly while on a team-building fishing trip with his accounting firm. Both fish are proof that dinosaurs are not really extinct after all! 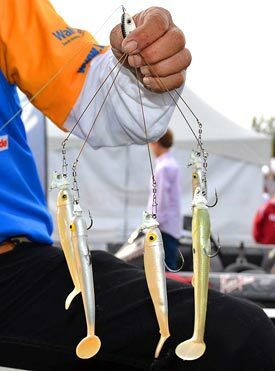 Paul Elias' winning Alabama Rig. When Paul Elias dominated the field in an FLW tournament victory in late fall 2011 with the Alabama rig, the fishing world exploded. A castable umbrella rig was unheard of by most anglers at the time, sparking a craze for what many deemed to be a ?magic lure? that was technically illegal in several states and provinces. The controversy and intrigue over the rig carried through to 2012 when B.A.S.S elected to ban it from all competition. The FLW, on the other hand, opted to allow their use pending state regulations. Heading into 2013, B.A.S.S has once again declared a ban for the rig. 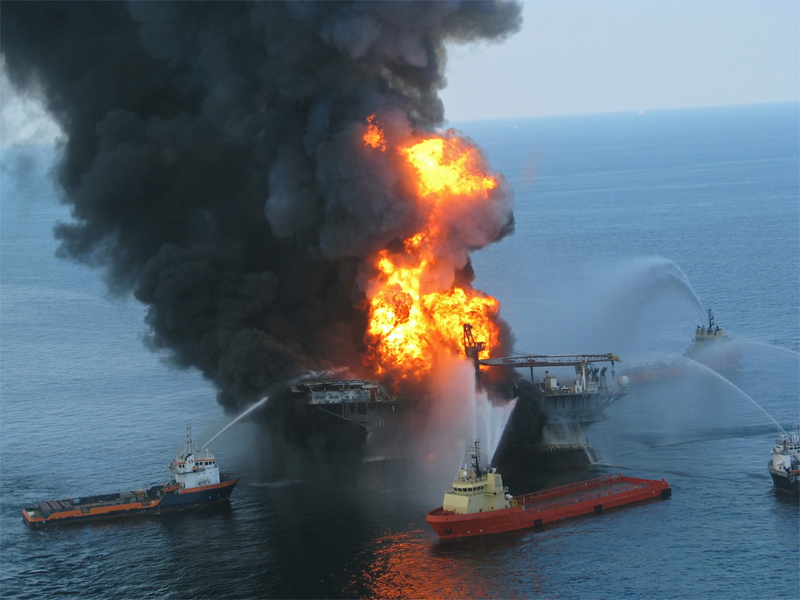 Response Crews battle the fires from the Deepwater Horizon oil rig explosion in 2010. The Deepwater Horizon Gulf Coast Oil Spill was the big news item of 2010, and two-and-a-half years later, the ones responsible finally got their comeuppance. BP must pay $4.5 billion in a settlement with the U.S. Government, and a further $1.256 in criminal fines, after pleading guilty to manslaughter and misdemeanor charges that led to 11 deaths and a damaged ecosystem. Furthermore, the federal government has suspended any new contracts from being made with BP. 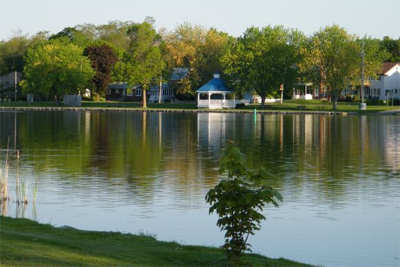 Hastings, Ontario was voted the 2012 Ultimate Fishing Town in Canada. Your Ultimate Fishing Towns for 2012 are Olcott Beach, NY and Hastings, ON, winning for the United States and Canada, respectively. Both towns did very well to promote themselves and rally their community to get voting, but it was their unprecedented alliance that really shook up the competition. Community members from both towns joined together, voting not only for their own towns but their partners from across the border as well. Other fishing towns made alliances of their own to try and keep up, but the Olcott Beach and Hastings team proved to be too powerful. The Hobie Cat Mirage Pro Angler 12 kayak not only won the Best Boat award at ICAST, but Best in Show overall as well. The win came as a bit of a surprise for the folks at Hobie Cat, considering the Pro Angler 14 won the Best in Show award back in 2009. Seeing as how Hobie struck gold a second time, the Pro Angler 12 clearly proves that sequels can indeed be just as good as the original.